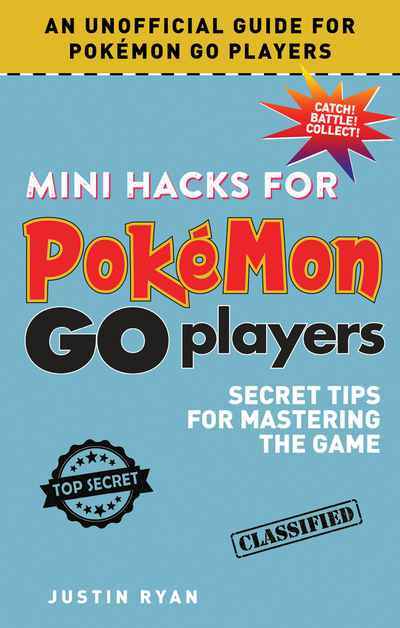 Pokémon GO has taken the world by storm, and now everyone can play by using the Mini Hacks book to become a winner. If you’re a confused beginner, or a level 15 player, Mini Hacks for Pokémon GO Players will give you the basics on how to play the game. Includes tips and techniques for finding Pokémon, leveling up, PokéStops, and more. Also includes important information on issues like safety and extending battery life. Written for Pokémon GO players ages seven and up, this book is an unofficial “hacker’s” guide to the game. The format follows our bestselling Hacks for Minecrafters books, only in a smaller, more convenient mini size—but still contains the essential tricks and tips you need to become a Pokémon GO top level trainer!